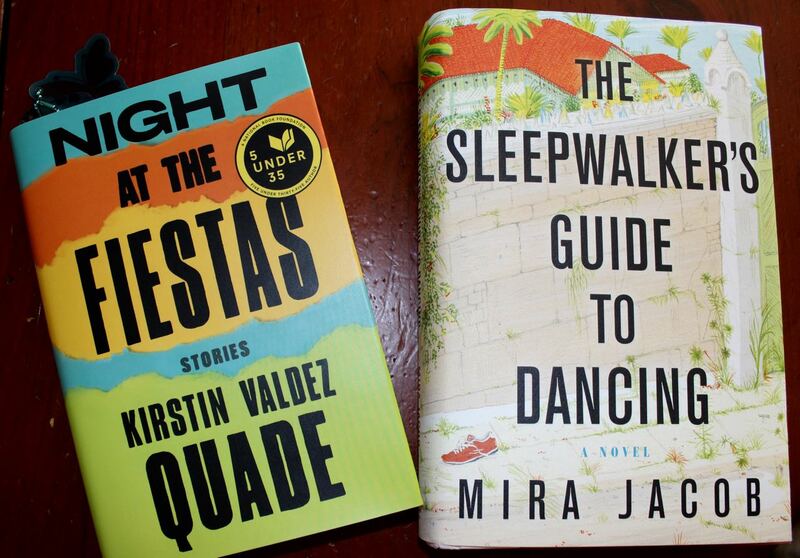 I picked up two new books at Saturday’s A Word with Writers event, featuring Mira Jacob and Kirstin Valdez Quade, as part of a series sponsored by Bookworks to benefit the Albuquerque Public Library Foundation. Question for A Word with Writers Event on diversity in publishing. Yep, I wrote it down first. 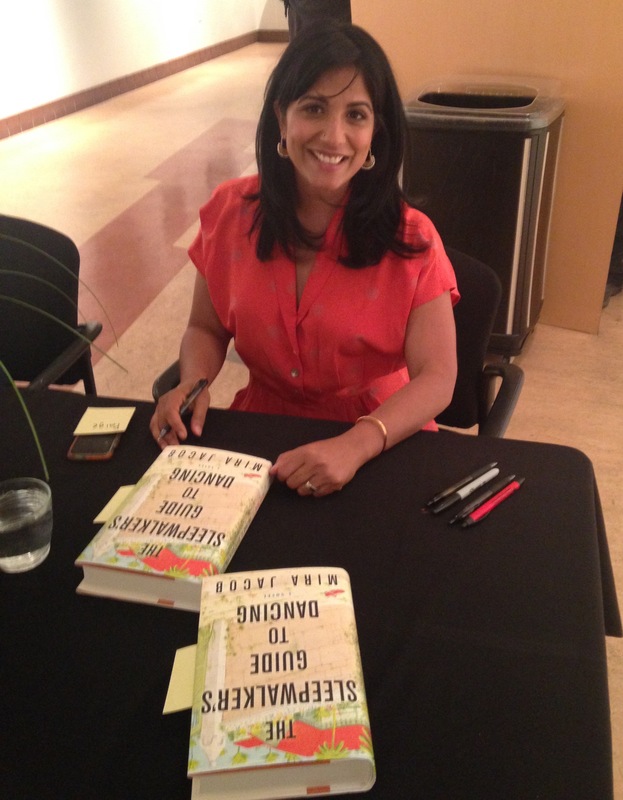 Mira Jacob signs “The Sleepwalker’s Guide to Dancing” at A Word with Writers event sponsored by Bookworks to benefit the Albuquerque Public Library Foundation. Kirstin Valdez Quade agreed that readers are by nature empathetic and want to read books from different cultures and ethnicities, but the publishing industry tends to be risk adverse, and anything non-white can be seen as a risk. 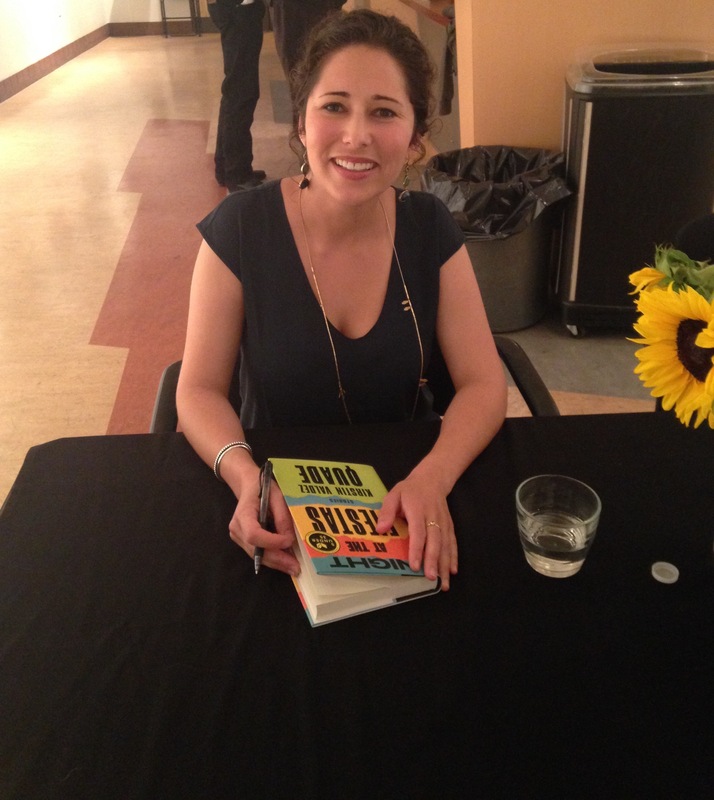 Kirstin Valdez Quade signs “Night at the Fiestas” at A Word with Writers event sponsored by Bookworks to benefit the Albuquerque Public Library Foundation. One extra tidbit that was super exciting for me, of must-cut-down-word-count fame: both Jacob and Quade tend to overwrite and then trim down, a lot. Jacob admitted her original draft of The Sleepwalker’s Guide to Dancing was twice as long. Twice! I always enjoy reading about the author events you attend. 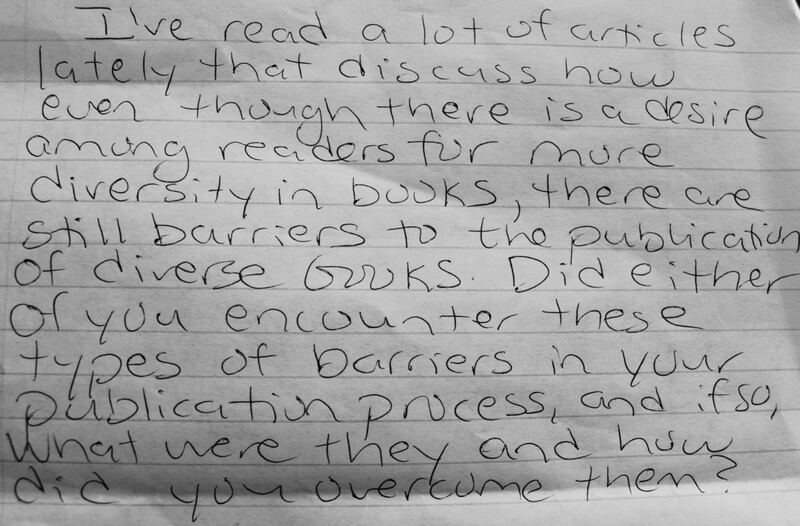 I’d like to see more diversity in fiction, particularly books, too. Have you caught the new TV show, Sense8 yet? There’s plenty of diversity with characters from all over the world. Mind you they’re all young and good-looking, but one step at a time I suppose. I’ve heard a little bit about Sens8. Is it any good? I really enjoyed it. The trailers make it look prominently sci-fi, but it’s actually more of a character drama.